Private Boat Charter Puerto Pollensa - Book Online Now! Do you want to get away from the crowds? Would you like to create your very own boating adventure? If the answer to either of these questions is yes then this is for you – charter your own private yacht for a day and create your individual custom-made experience. And when in Mallorca, what better way to do this than on a classical Llaüt boat. 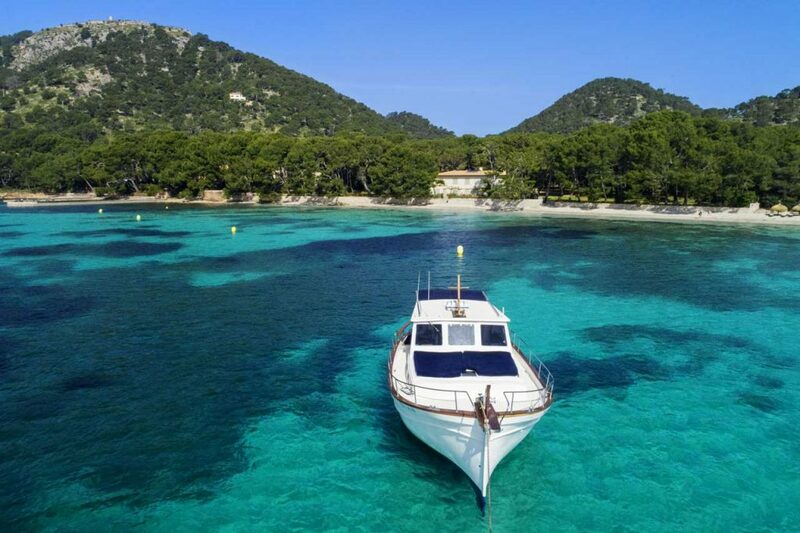 A Llaüt is the traditional boat of the Balearic Islands, which in past times was mainly used as a trawl-fishing vessel and freight-carrier around the Mediterranean coast. Historically, these boats were crafted from local wood, while the modern-day versions are built with new, longer-lasting materials. Llaüt boats are known for their stability in the water, which makes them ideal for a wide range of activities, even in adverse weather conditions. This luxurious Llaüt, which is 13 metres long and 5 metres wide has a maximum capacity of 12 passengers. It boasts a large sun-deck with soft loungers and a cosy stern, where you can find shelter from the hot summer sun, with table and benches. The inside is equipped with a kitchen, a modern bathroom with hot water, a sound system and air conditioning. 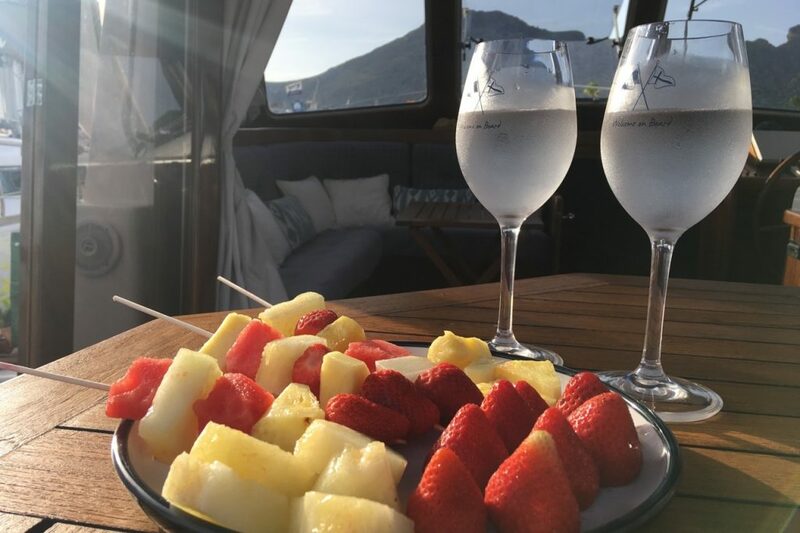 Depending on how much time you wish to spend on board, how far you would like to go and what activities you would like to include in your experience, the yacht is available for half-day hire, for a full day or for a sunset-tour. Relax on the sundeck’s comfortable sun loungers with a cool drink in hand while admiring the beautiful coastline and stunning scenery of the Tramuntana mountain range. Enjoy delicious fruit and tapas with a cold beer or chilled wine in the shade of the stern. 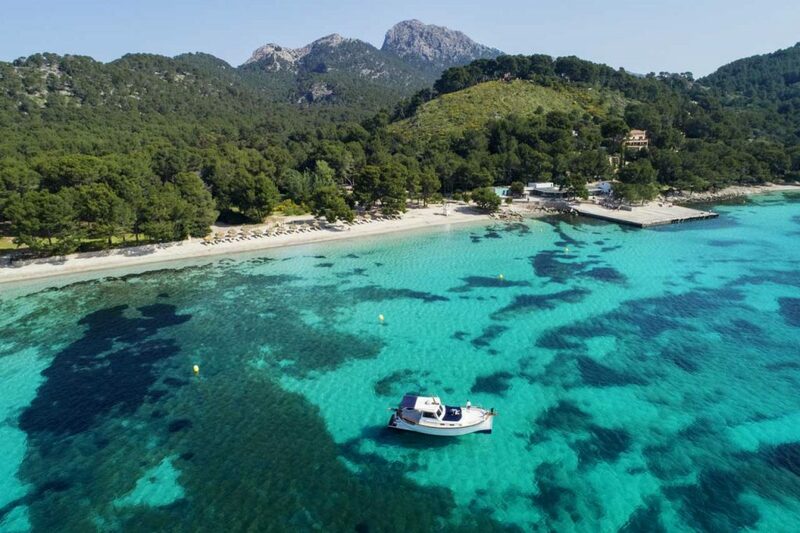 Cool off in the crystal-clear waters of secluded little coves and explore the fascinating underwater world a little more closely with the use of the snorkelling equipment. Discover magical places like Cala Murta or Cala en Gossalba, which are difficult to reach by car and stop off at stunning beaches like Formentor or Cala San Vicente.  Are you a wine connoisseur and would like to sample some local quality wines? A wine tasting experience can be arranged for you on board.  For the food lovers amongst you, a delicious dining experience might be the way to go. These trips tend to sell out fast, so it is a good idea to book ahead!